There’s Motorcycles, and then there’s petrol fueled art. When it comes to the retro-futuristic machines created by Bandit9, it’s certainly a spectacular case of the latter. We’ve been blown away by their work many times here before and were naturally thrilled when we were offered the opportunity to debut their new build – the exquisitely utopian ‘EDEN’. Bomber jackets are all the rage and it seems that most streetwear fashion labels now offer their own interpretation of the classic US Air force cut. I'm a big fan of Bombers and have been wearing Alpha Industries original MA-1 style jackets for years, so when I saw that Saint had created their own Bomber style jacket designed for motorcyclists I knew I'd have to give one a try. After Honda revolutionised the motorcycling world forever with their legendary CB750, Kawasaki kicked them squarely in the crotch with their Z1. Kawasaki developed a more powerful inline four that left the Honda in its dust and boasted all of the latest handling and tech components available. Kawasaki were quoted as saying they wanted to create "the king motorcycle" when designing the bike and were very careful to not make the same mistakes as their competitors. After it's initial release the reaction to the bike was so positive that the saying became a common catch phrase for the Z throughout its many years of manufacture. Being "sly as a fox" requires experience and skill. It's the ability to be particularly crafty at what you do. Although in some circumstances the application of the saying may not be a positive one, in this case it most definitely is. Sly as a fox perfectly exemplifies Nigel's well rounded skill set and approach to building. 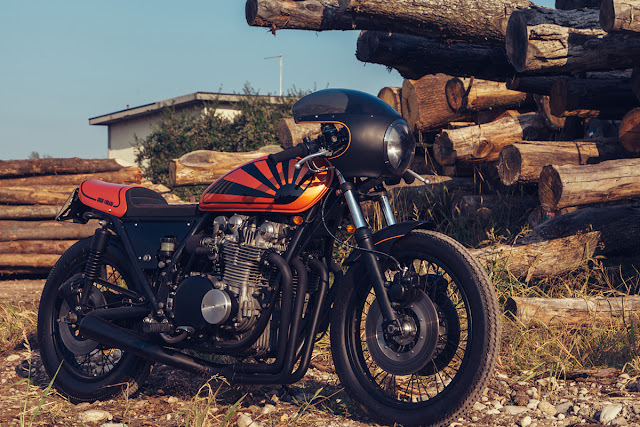 With the help of his Dad Nigel's been working on everything from BMX bikes to complete car builds from an early age, but this sleek Kawasaki KZ440 is his first attempt at building a cafe racer and the result speaks volumes. Story by Geoff Baldwin from issue 4 of Tank Moto Magazine.The first time I noticed Mitsuhiro Kiyonaga was in an interview with ‘Garage Company’ owner Yoshinobu Kosaka. He was working in the background of the workshop and Yoshi explained how important he was as their skilled fabricator. He then caught my attention years later as he was doing doughnuts and compression lock-ups on his custom Knucklehead in a video about photographer Ray Gordon’s ‘Throttled’ exhibition. 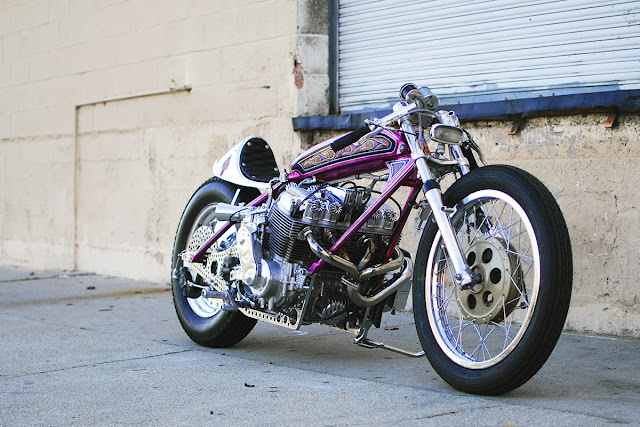 Then he popped up again as an invited builder at the Born Free 5 show in Silverado, California and I promptly added him to my “keep an eye on this guy” list of builders. "It all started with my toy bikes as a child. I would cut off parts with my scissors and colour them in with my markers." recalls Fredrik Persson of Paal Motorcycles in Sweden. "As I grew older I started to customize my bicycles. Taking off the fenders, changing the tires, painting the frames etc. When I turned 15 I was allowed to drive mopeds and I started to customize them as well. "Despite an early fascination with two wheeled machines Fredrik's career followed a different path, one of a chef working at high end restaurants "chasing stars" and culinary glory. 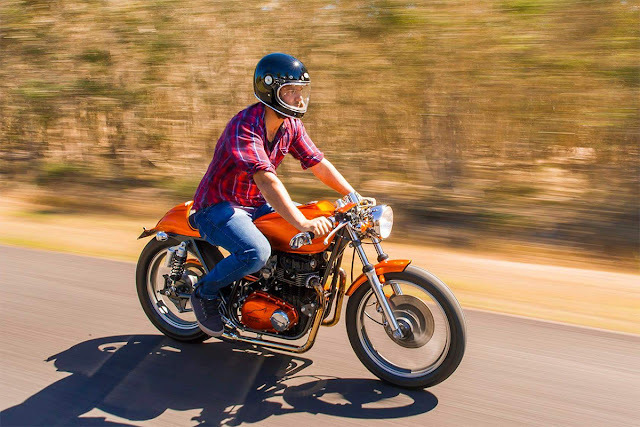 Although they hadn't played a part in his life for many years, when he grew tired of the restaurant game it was his long lost love of motorcycles that lead him on a new path. If the Pharaohs rode motorcycles I'm certain they would have been stradling Ducatis. The Italian manufacturers trademark triangulated trellis frames are one of the best looking frame designs ever made. In fact they look so good that it almost seems a shame to cover them up with fairings. Thankfully back in 1993 Miguel Angel Galluzzi designed one of the most iconic and best selling Ducatis ever made, the Monster. A naked bike that left the frame exposed and kept bodywork to a minimum. The design leant itself to customisation, but in the past that has consisted mostly of bolt on parts.In the Netherlands at a workshop named 'Smokin Motorcycles' an engineer and an industrial designer have taken things a step further. The pair have designed their own single piece bodywork for the Monsters trellis substructure to even further simplify its design. 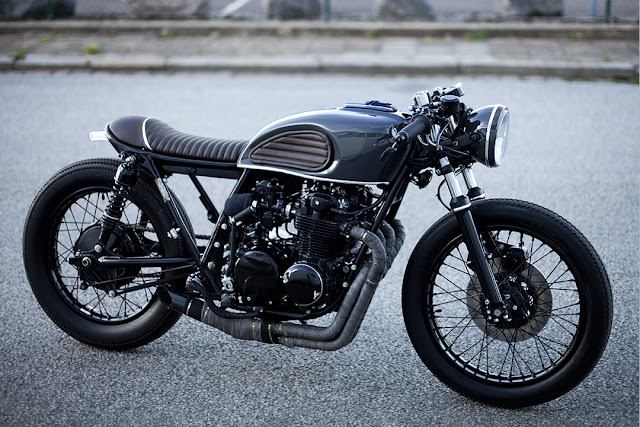 Their first execution of the concept is called '4Nol' and it's a great looking take on a modern cafe racer. A few weeks ago Mik and I joined the Melbourne Cafe Racers on their annual Brass Monkey Run. The weekend ride and camping trip saw us navigating some of Victoria's best roads before sinking beers and feasting on BBQ'd meats with a group of 50+ fellow cafe racer enthusiasts. The trip wasn't all just for fun though, Mik and I both had some motorcycle camping gear to review. I have to admit, poor old Mik drew the short straw this time round. He opted for the more expensive "Exposed' Bivouac from Sweden, while I went for the American made Abel Brown 'Nomad' tent. That weekend we saw some rather inclement weather and although Mik's bivouac did a good job my Nomad tent provided the perfect amount of protection against the weekends less than perfect camping conditions. Today’s bike is the masterful handiwork of brothers Maxim and Ivan Dozhdev of St. Petersburg’s ‘Steel Art’ workshop. 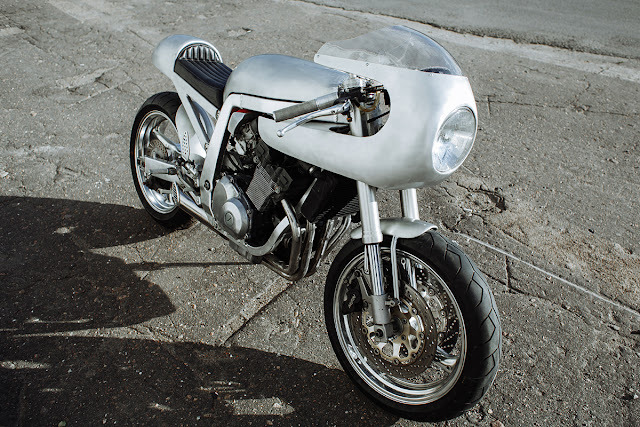 Dubbed the ‘Zet73’, this sleek alloy machine started life as a 1994 Suzuki GSX-R400 before the brothers poured countless hours into the project over nearly two years. 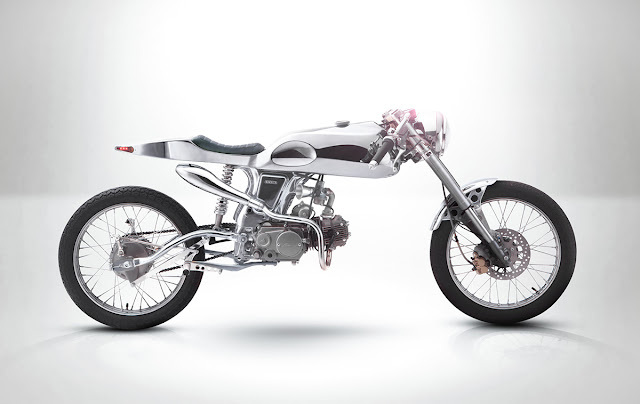 While all of the major car manufacturers have adopted electric motors, motorcycle manufacturers seem to be dragging their heels. 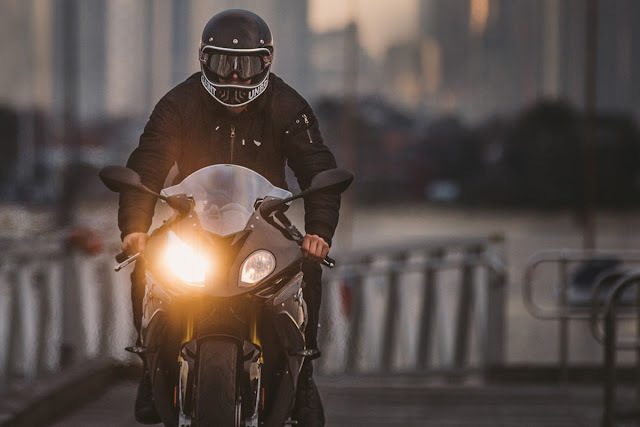 Despite there being a global push towards zero emission vehicles and racing events like the Isle of Mann TT offering classes especially for electric bikes (TT Zero), the transition to hybrid or 100% electric motorcycles is taking a rather long time to happen. Recognising the necessity and the demand for cleaner forms of transport, Brighton (UK) based custom workshop Union Motion are taking matters into their own hands. 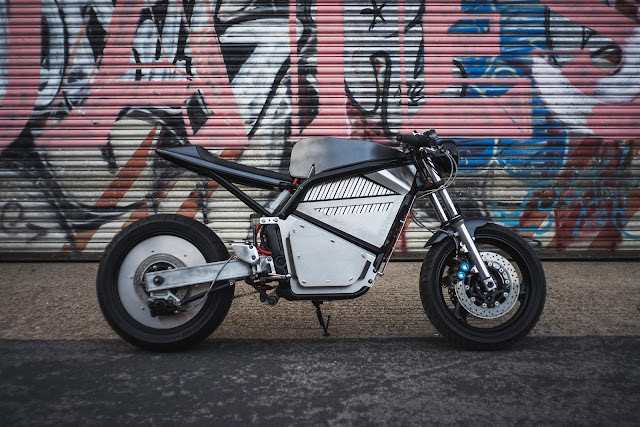 Union team members Dom, Damien and William are offering their customers the chance to own a one of a kind electric motorcycle constructed using the chassis, bodywork and suspension systems found on combustion powered motorcycles.